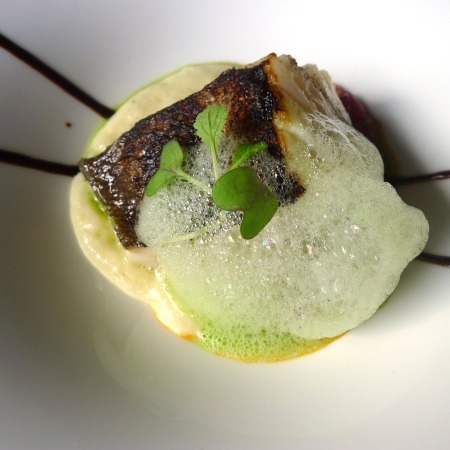 Recently we returned to Alameda, Hondarribi restaurant that is a hallmark of the region for its calidad-precio ratio. Here's some shots of the food, delicious as always, to serve as a glimpse into the way a local menu, basado en el producto, goes changing through the seasons. 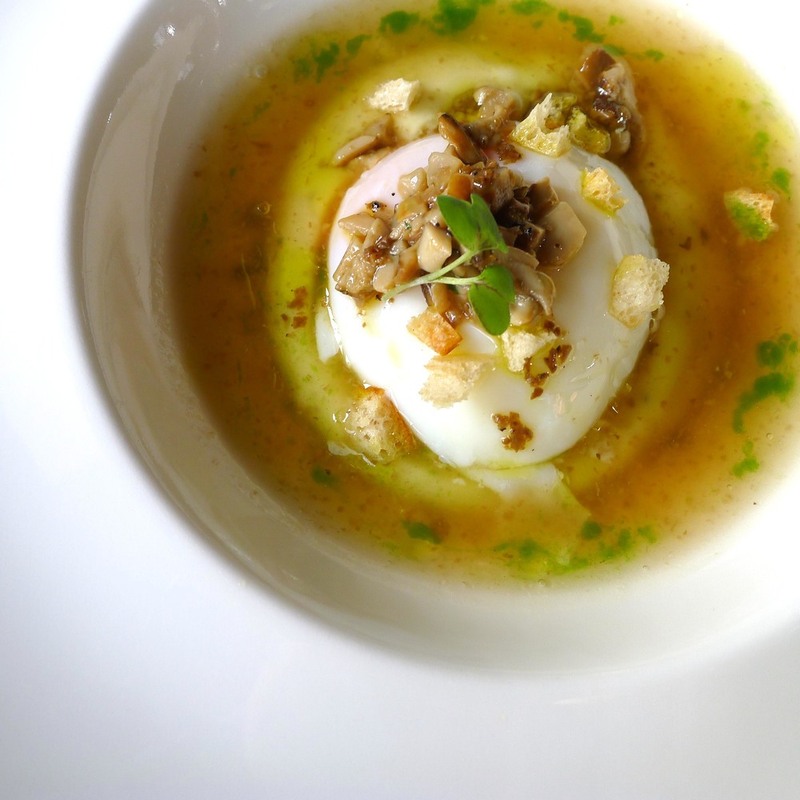 Above is the huevo termal, a sous-vide egg with a cream of squash served in a rich, thick broth. Dotted with buttery bread bits. Then there's the bacalao, ever-present and as good as the last time we ordered it. Updated with a few drizzles of reduced wine syrup (arrope de barrica, or syrup from the barrel). The slow-cooked meat, which I was very happy to see unchanged. They bring it out and your mind goes, "buah, I can't eat all that". But then you can't NOT eat all that. The dessert was nice, although I am forever ruined torrija-cally speaking, thanks to Ni Neu's addictive version. Cheese ice cream is never a bad thing, though. Another more than adequate meal at Alameda. Which may not sound like a ringing endorsement, but it so is.